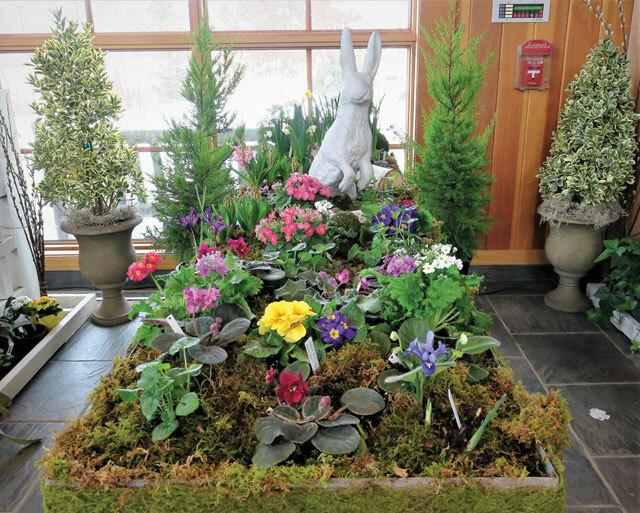 The Minnesota Landscape Arboretum melts the winter blues with the Spring Flower Show through Feb. 28. In the middle of a Minnesota winter, it can be nearly impossible to remember what spring flowers even look like. Luckily, the University of Minnesota Landscape Arboretum is here with a reminder. Through Feb. 28, the Arboretum will be hosting its Spring Flower Show, which will feature some of the upcoming season’s finest blooms. This year’s centerpiece will be an 18’x18′ custom conservatory that was built in the Arboretum’s Great Hall by Conservatory Craftsmen. “It is English-inspired and will display a wall of orchids of many kinds plus bromeliads and air plants. A chandelier hangs above one of the Granlund statues inside this gorgeous glass house. It can be purchased, and a percentage of the proceeds will be donated to the Arboretum,” says University of Minnesota Landscape Arboretum media specialist Susie Hopper. Throughout the Arboretum, there will also be nine other vignettes, each focused on a particular fragrance profile, including balsamic, violet, rose, spicy, sweet, fruited, honey, heavy, and unique. Also, each one will have specific live plants and flowers featured in an artistic display. The balsamic profile will feature lavender, rosemary, and yellow birch, along with other shrubs and spring blooms. 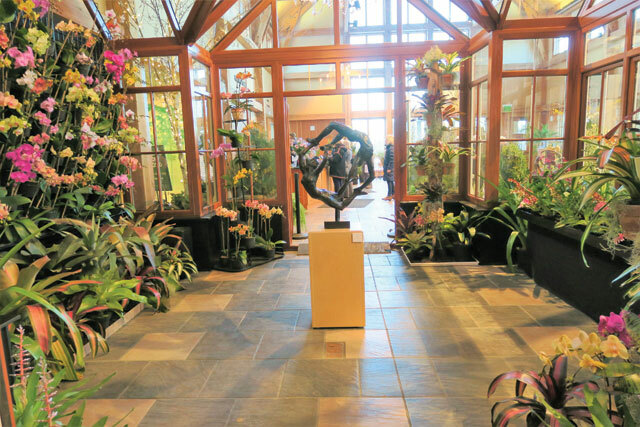 Famous Minneapolis sculptor Paul Granlund will also be remembered at the Arboretum’s Spring Flower Show. Granlund had solo shows at Minneapolis Institute of Art, the Walker Art Center, and the Swedish American Institute. His work will never be reproduced or copied, so this is the last chance to see and purchase his artwork. “This is the most extensive show the Arboretum has done for a long time. Last year, we had a small orchid show, so this is a much more ambitious event,” Hopper says. There are also two other art shows currently on display at the Arboretum: the Arboretum Photographers Society annual show and an exhibit from a local group of artists who use a critique group to help develop their work. Already filled with lively exhibits such as these, the Arboretum will fully bloom for the Spring Flower Show. “I would say the biggest group of flowers on display is orchids in the conservatory,” she says. 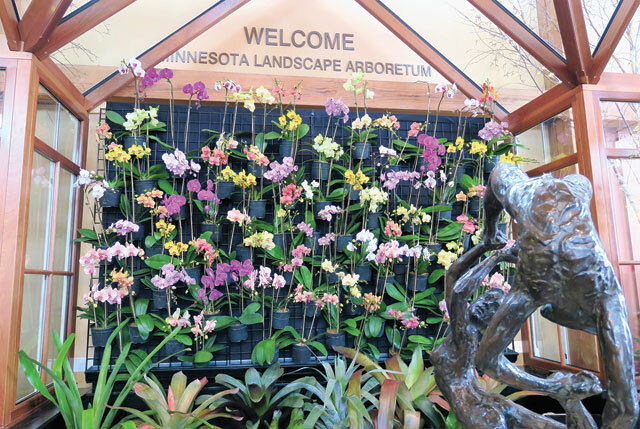 The Arboretum’s Spring Flower show was planned by Alan Branhagen, Director of Operations at the University of Minnesota Landscape Arboretum. In past years, gardeners have planned the event, but the Arboretum is hopeful that the transition in planning will allow the event to be bigger than it was in past years. In the past, the event didn’t usually have sculptures, paintings, or other art, so this year is incorporating art in a new way. The Spring Flower Show is free with gate admission, which is $15 for non-members and free for kids 15 and under. In addition to the 300 orchids and other flowers and artwork to view, visitors can also enjoy the Arboretum Cafe for Saturday or Sunday breakfast and Sunday suppers. Admission to these is an additional $8.99 with gate admission, although reservations are not required. Escape the frigid Minnesota winter and dive into a wonderland of bountiful spring blooms. 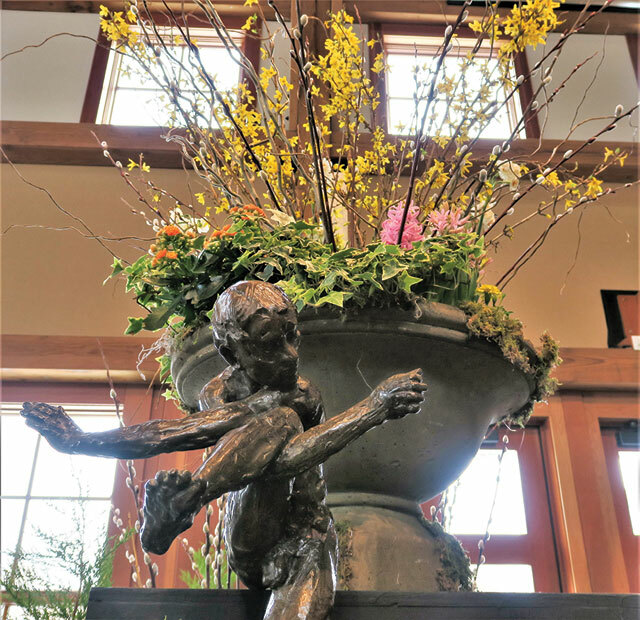 From orchids and tulips to sculptures and paintings by incredible local Minnesota artists, the Arboretum’s Spring Flower Show is perfect for anyone looking to add a little color to their winter. For more information about the Arboretum Spring Flower Show, visit www.arboretum.umn.edu.